The name means ‘End of Cadwgan’s Slope or Wood’. In 1703 Anne Wogan died at her home here. She was the second wife of Lewis Wogan of Wiston, and a daughter of James Lloyd of Cilrhiwe. She left four children – Lloyd Wogan, baptised in 1686, died young; Anne Wogan, married Thomas Lloyd of Bronwydd; Bridget Wogan, married Lewis Powell of Greenhill; and Katherine Wogan, married John Warren of Trewern. On 8th November 1703 James Lloyd of Penallt Cadwgan, formerly of Cilrhedyn, wrote his will – probate was made in 1709. In 1786 an Independent Sunday School was instituted here. In 1793 Lady Keith was the owner and Lettice Thomas was the tenant. In 1796-97 David Thomas was the tenant. In 1801-03 Colonel Edwards was the owner and Thomas Hassall was the tenant. On 24th April 1833 Martha Williams, wife of David Williams of this address, died aged 67. In 1838-88 Asa Johnes Evans (b20/06/1810) was the owner and occupier. In 1841 this was the home of Asa Johnes Evans, 30; Mary Evans, 25, his wife; and John Evans aged 10 months, their son. On 21st July 1848 John Albert Griffith Evans, son of Asa J. Evans, was born. On 3rd October 1847 Thomas Evans, son of Asa J. Evans, was born. In 1850-94 Ivor Evans lived here. In 1851 the following persons lived here: Asa Johnes Evans, 41; Mary Evans, 34, his wife; John Albert Griffith Evans, 10, their son; Margaret Evans, 5, daughter; Thomas Evans, 3, son; Ivor Evans, 1, son; and three servants – Sarah Phillips, Mary Johns and John Morgan. In 1851 Asa J. Evans owned shares in the 91 ton Cardigan ship ‘Rose & Ellen’. In 1861 the following persons lived here: Asa Johnes Evans, 51, solicitor and farmer; Mary Evans, 44, his wife; John Albert Griffith Evans, 20, their son, a clerk; Hannah Evans, 18, daughter; Margaret Evans, 15, daughter; Ivor Evans, 11, son; Evangeline Evans, 5, daughter; Margaret Phillips, 21, cow-maid; and John Davies, 19, ploughman. In 1866 Asa Johnes Evans lived here in a house slightly distanced from an earlier dwelling. 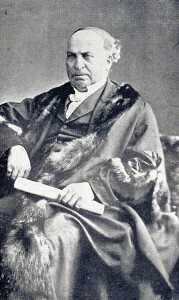 On 2nd December 1870 Asa J. Evans, who had a solicitor’s office at No. 3 Green Street, Cardigan, became a member of the newly elected Cardigan School Board. In 1871 the following persons lived here: Asa Johnes Evans, 61, solicitor and farmer; Mary Evans, 54, his wife; Hannah Evans, 28, their daughter; Ivor Evans, 24, son, clerk; Thomas Griffiths, 58, visitor; Phillip Jenkins, 20, visitor; and Margaret Jenkins, 20, servant. On 9th November 1875 Asa J. Evans was elected Mayor of Cardigan. He was re-elected in 1876. “…ALDERMAN ASA J. EVANS. We regret to have to record the death of Alderman Asa J. Evans, which took place at his residence, Pen’ralltcadwgan, near Rhoshill, at 2.30 p.m. on Saturday last, after a lingering illness, extending over a period of nearly three years. The deceased has practised as a solicitor in the town for very many years, and was the senior partner of the firm of Messrs. Asa and Ivor Evans, solicitors, Green-street. Deceased was known in the profession as an exceedingly acute lawyer, and was remarkable for his facility in finding a flaw. 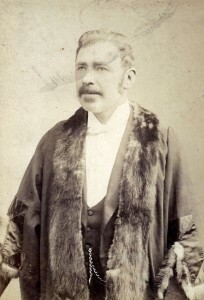 As a political organizer Mr. Evans was very able, and the Liberals of North Pembrokeshire and South Cardiganshire owe much of their political education to his tuition. He was a consistent member of the Baptist denomination all his life, and had held several important offices in connection with that body, not the least being that of solicitor to the Baptist Association, which office he held for many years. 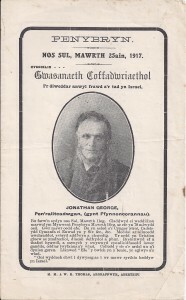 He also acted in the same capacity for the South Cardiganshire Calvinistic Methodist Association. Mr. Evans was an advanced Liberal, and was the father of the cause in the neighbourhood for many years. In conjunction with a number of others, he was instrumental in doing away with Church rates in the locality, he having gone as far as to allow his goods to be sold by way of protest against them. The Liberals of Cardigan have suffered a severe loss in the death of Alderman Evans, and it -will be long ere a leader of equal acumen and experience will be found to fill his place. In 1891 the following persons lived here: Ivor Evans, 41, solicitor; Anne Nicholas, 22, servant; Rachel Thomas, 14, servant; and Evan Williams, 14, servant. 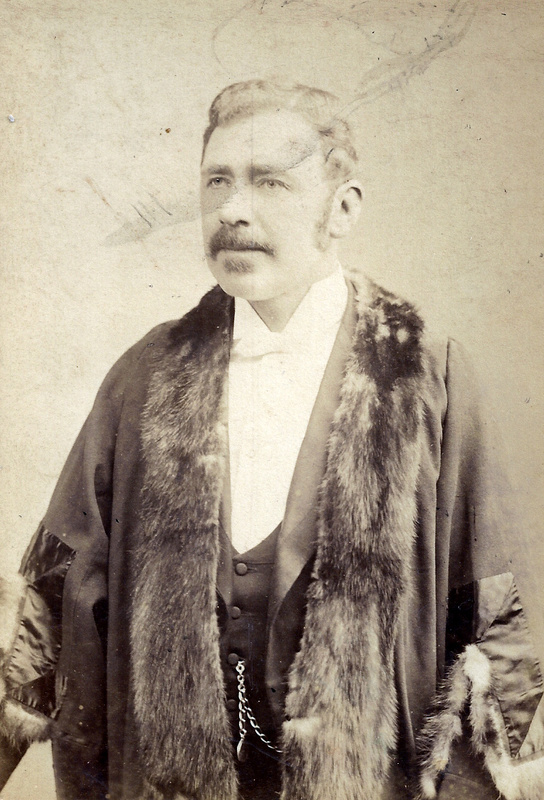 In 1893 Ivor Evans stood as a candidate for the Board of Guardians. On 9th November 1894 Ivor Evans, solicitor, the tenant here, became the Mayor of Cardigan. John Albert Griffith Evans died on 24th December 1895. In 1898 reference was made to a curious oblong basin in a nearby field, with steps having formerly provided access. In 1901 the following persons lived here: Ivor Evans, 51, solicitor and farmer (b. Cilgerran, bilingual); Thomas Williams, 21, servant in husbandry (b. Llanfihangel Penbedw); James James, 41, widower, cattle-man (b. Cilgerran); Eunice Evans, 34, servant (b. Llanfyrnach); and Eleanor Hughes, 19, servant (b. Llanfyrnach). All the servants were Welsh-speaking. Ivor Evans was re-elected mayor in 1911. That year Ivor Evans, Miss Elizabeth Evans and Miss Margaret Evans lived here. On 4th November 1914 Ivor Evans of Penralltcadwgan died aged 65. On 15th December 1914 there was a clear-out sale here. 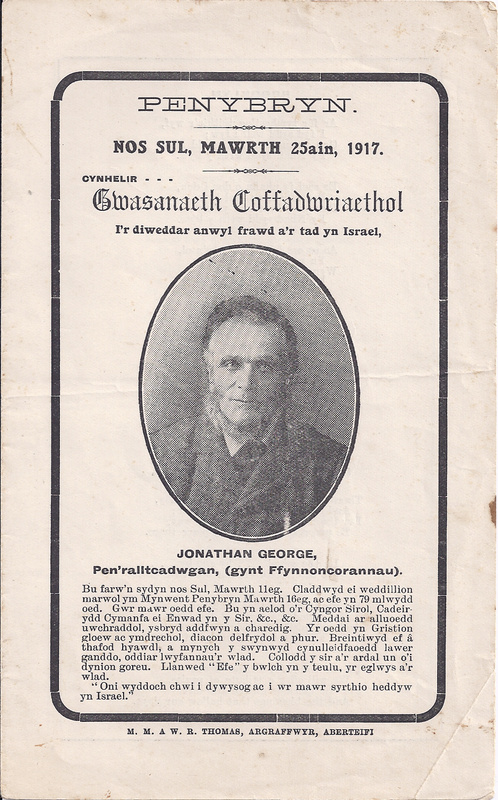 On 11th March 1917 Jonathan George of Penalltcadwgan, husband of the late Asa J. Evans’ daughter, who had died in 1913, died aged 79. He left three sons, one of whom was the farmer here – namely Asa Evans George (b.06/11/1877). Asa E. George lived here in 1917-48. On 5th July 1930 Elizabeth George, wife of Asa E. George, died aged 73. Asa E. George died on 12th December 1948 aged 71. In 1952-60 Mrs. E. George lived here. In July 1960 Mrs. E. George, widow of Asa E. George, died aged 73. Penybryn Baptist Chapel M I’s.